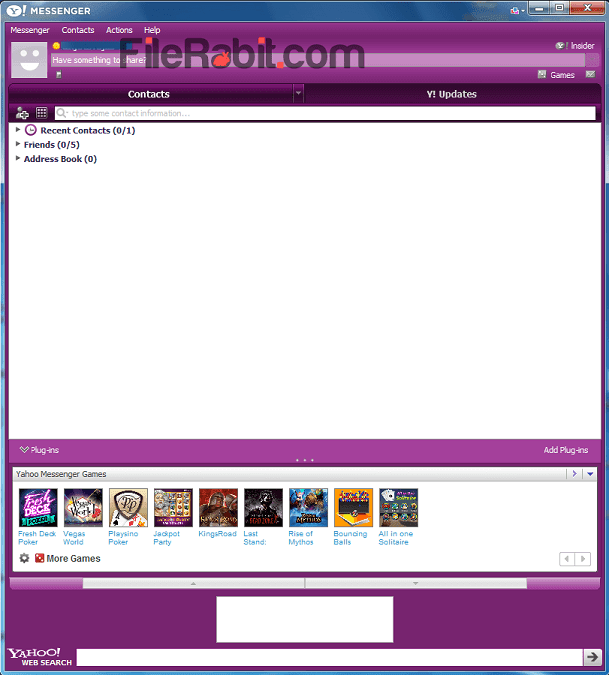 Yahoo messenger is classic communication software that lets you start chat, have audio or video calling, send images, files and smileys to friends or family. Import contacts, sync friends with Facebook account, connect mobile number, send unlimited text messages to mobile phones, use Yahoo on Android, iOS, Mac, Windows Phone, Blackberry and other platforms. Yahoo is simple, fast and responsive VoIP application which delivers PC to PC calls, PC to mobile calls, send unlimited text messages to anyone at anytime. Stay live with friends, family and colleagues with sharing photos, GIF images and other rich graphics. If you don’t have any messenger, no need to worry, just open messenger.yahoo.com or mail.yahoo.com and sign in there. Simply chat with friends in tabbing shape, send messages or rich media content individually. So you can even share whole folder or send multiple images at once. Unsend button is their to take your message back from conversation. The GIF images will not be converted into still images so sending or receiving GIF animations is easier. Create groups, add friends or family members individually, start chatting and share how you spend holidays and weekends. Import contacts from any yahoo email or find friend using email address or mobile numbers. Group chat allows liking a friend’s picture with simply clicking on “Like” button in heart shape. 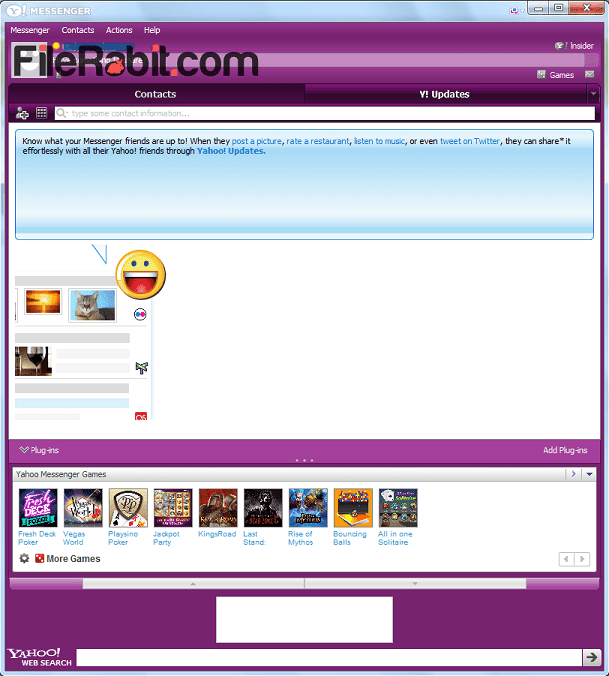 However, chat with anyone using yahoo email is now simple and easy way to communicate with others without having yahoo messenger. Edit contacts with adding or deleting their name, number etc.